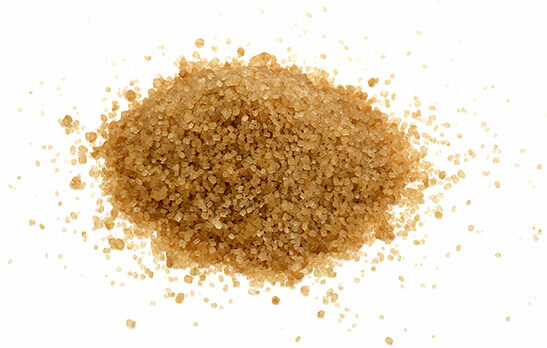 Organic Cane Sugar is made from certified organic sugar cane. The organic label insures that the sugar cane was grown and processed without the use of synthetic chemicals, pesticides, or fertilizers. 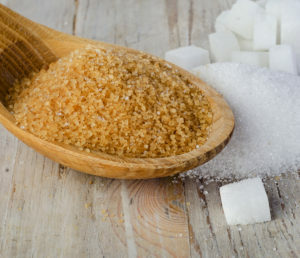 Organic sugar is also processed differently from conventional sugar as chemicals and man-made compounds cannot be used. First, the organically-grown sugar cane is washed, chopped, and crushed to extract the cane juice. This cane juice, rich in molasses and other minerals, is boiled and then spun in a centrifuge. Finally, the juice is dried forming sugar crystals. This process retains the sugar cane’s natural trace nutrients (calcium, iron, chromium, magnesium, selenium, potassium and even some vitamin B6). Not only does this method of sugar production provide for a healthier product, it also creates a delicious tasting sugar to complement your food industry needs. If your business is focused on quality ingredients targeting a health-minded consumer, then an understanding of the benefits of organic unrefined sugar is imperative. Not only is organic sugar comparable to conventional sugar in sweetness, but the flavor is slightly richer, and the glycemic index is much lower. Interra International is your expert in the wholesale commodities marketing with expertise in organic and other specialty sugars. Contact Interra for more information on the varieties and availability of raw organic sugar products… redefine your sweetness! And, if you are interested in consumer packaged goods, contact our Interra Food Marketing team.